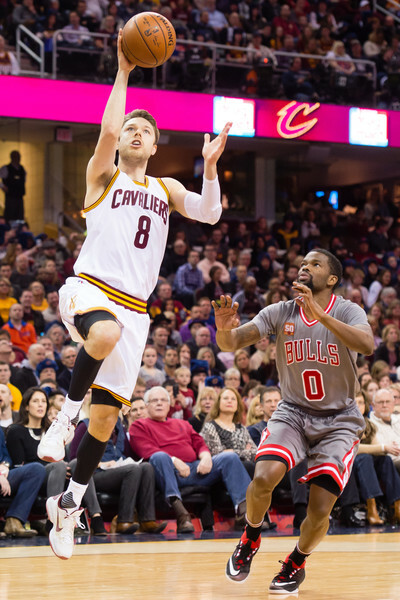 Matthew Dellavedova #8 of the Cleveland Cavaliers shoots over Aaron Brooks #0 of the Chicago Bulls during the first half at Quicken Loans Arena on January 23, 2016 in Cleveland, Ohio. NOTE TO USER: User expressly acknowledges and agrees that, by downloading and/or using this photograph, user is consenting to the terms and conditions of the Getty Images License Agreement. Mandatory copyright notice.